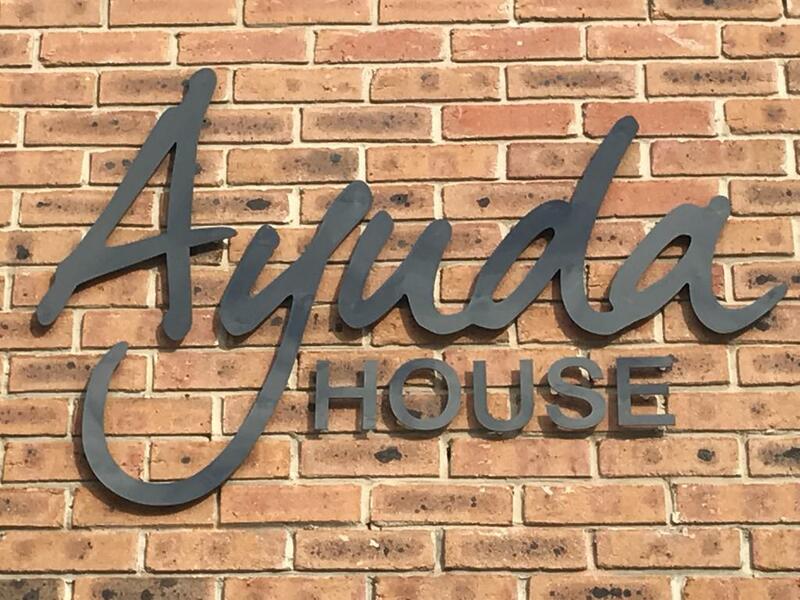 Located in South Manchester, Ayuda House offers bed and breakfast accommodation with free WiFi access throughout and on-site private parking free of charge during your stay. The property boasts a quiet private garden with a patio and barbecue facilities, and is just 10 miles from Manchester City centre and 4 miles from Manchester Airport. Most rooms at Ayuda House have views of the garden and come with a writing desk and a flat-screen TV with digital channels. Guests have access to the property's common lounge with a TV with Sky Channels. A wholesome breakfast is served every morning in the elegant dining room. Continental and light cooked is usually included in the room price, full 2-course 'Big Ayuda' breakfast is £5 extra per person at weekends. The bed and breakfast is within 8 miles of the Trafford Centre, Old Trafford and The Lowry. Junction 7 of the M56 is a 5-minute drive away. There are very many excellent restaurants within 10 mins drive and a good pub within 15 mins brisk walk. Ayuda House is also available for executive and personal retreats with a bespoke range of services offered to meet each client's requirements. Please enquire for further information.